The Anti-Racialist Q&A – inspired by my own Anti-Reactionary FAQ and written by blogger The Prussian on SkepticInk – is an astounding essay. It’s astounding because I have no idea what the author’s political leanings are even though he seems to go through great trouble to explain them. One minute he will seem like a raging leftist, the next he will be talking about how racism is just as stupid as global warming alarmism. Or talking about how racism keeps people of all skin colors from uniting in brotherhood against the real enemy, Muslims. That is worthy of note. It is the exact opposite of the attitude in Cowpox of Doubt, like someone who says “Homeopathy? I guess the responsible thing to do is to read dozens of studies before I form an opinion on it”. This may not be a very practical philosophy or a good way to win friends, but it’s an impressive signal of epistemic virtue if nothing else. I won’t say the FAQ gets everything right – just for one example, if I’d written it I would have dropped the whole “race doesn’t exist” thing as too complicated a question to be worth debating without a longer diversion into philosophy than most people would be willing to entertain. But it’s pretty good for a first attempt at the genre. Prussian deserves more traffic for having written something so ambitious, and I don’t have the energy to enforce the censorship I would need for a good comments thread about race, so please take your comments on his Q&A there, not here. This entry was posted in Uncategorized and tagged links, politics, race/gender/etc, reaction. Bookmark the permalink. ← Do You Believe Me, Doc? Thank god, I have been looking for something like this for a long time. I’m about to read it and I anticipate thoroughly enjoying myself. It’s interesting how mainstream opinions that most people are familiar with are often never explicitly spelled out anywhere. Thanks for the link–I’d read a bit of The Prussian before and started to like him, but after reading this, my already-positive opinion of him went up a notch or two. If you don’t want to have to moderate, you could close the comments on this thread. Mainly I’m saying this in case you meant to and forgot. But keep that option in mind, if this thread gets out of hand. I enjoy seeing what percent of SSC readers can follow simple directions. While it’s an important piece, it’s unfortunate he doesn’t engage in a totally nuanced cultural analysis at the same time (i.e. The problem with Somali migrants is to with “Islam” whatever that is). Good show. If Erik von Kuehnelt-Leddihnt was still alive and blogging, I think it would look somewhat like this. … is ridiculous (the Congo had eight university graduates at the time of independence – EIGHT!). There are many ways to argue against racism but not by creating just so stories about human history, which are as ridiculous as just so stories about evolution or any other type of just so story. please take your comments on his Q&A there, not here. Lost in these regular slatestarcodex kerfuffles over Sailerism and “reactionaries” is the truly interesting question: why does there seem to be such a strong overlap in the sorts of personalities drawn to these ideologies and those who like reading Less Wrong, a site that is as ostensibly apolitical as possible? I mean, a surface reading of Yudkowsky or Yvain or any of the site’s regular contributors does not reveal anything that could even be misinterpreted as reactionary, and yet these people still seem to form a much larger fraction of the site’s readership than would expected by chance. Why do you keep bumping into these folks when the great majority of regular people, even regular Internet intellectuals, have never heard of them? I shouldn’t hesitate to say that I myself am an exemplar of this trend: I am as conventionally hereditarian as they come (all hail the Minnesota Transracial Adoption Study! ), find Scott’s general politics……not good, and yet still obviously find something appealing about the general style of writing and argumentation found here. Weird off topic monologue that eventually circles back to the main point: when I was in high school our drama department was entirely comprised of two types of people, both of whom were tiny minorities in the student body: ultra-religious Christian conservatives, the soft, Ned Flandersy type that serve as Bible Camp counselors in the summer and ultra lefty, soft, almost hippieish liberals who had often previously gone through religious phases themselves earlier in life. Politically (and socially) of course, these people are about as far apart from each other as possible, but a closer inspections reveals that they are simply two different varieties of the same person: the one who scores high on the Big Five trait “Openness to Experience”, the artistic, spiritual type, which perhaps makes their conflict all the more bitter and frequent: it is a civil war. You don’t seem to realize this, so I should point out that Scott Alexander is Yvain. If only Scott Alexander could be MORE like Yvain, is I think what he’s getting at. Scott should read and try to emulate Yvain’s posts. what? I thought he was Yarvin. Is that really a “personality trait”, or just a consequence of holding unpopular opinions…? Holding unpopular opinions is the result of a deviant personality that does not shape its opinions according to popularity. So the “personality trait” that sets off reactionaries and Lesswrong readers is “having at least some intellectual independence, i.e. not being completely worthless”? Is that the claim here? You can spin it how you like. One perspective is that you are a member of the master race, and the ordinary masses of “neurotypicals” are completely worthless. In a society of vampires, the daywalker is the monster. My main point is that it’s foolish to treat holding unpopular opinions as endogenous. Or a hubristic personality that overestimates its ability to see truths others dare not speak. Or signalling intelligence by contrarianism. peterdjones: No one said anything about “truths”. The discussion so far has been about holding unpopular views, not necessarily about holding unpopular true views. “Signaling intelligence by contrarianism” implies that the audience is one that takes contrarianism as a signal of intelligence. That is already not an audience composed of the “common man”. suntzuanime: By your use of “neurotypical” are you implying that one must be on the autism spectrum in order to hold non-mainstream opinions…? The implication of the parent comment was autism, but the term “neurotypical” seems reasonable for any particular deviant personality trait to use when calling mainline personalities completely worthless. My implication was that “not being completely worthless”, in the sense I mentioned, is far too broad to be construed as a “personality trait”. I don’t think many people shape their opinions based on popularity. That would seem like a very odd thing to do. You may be misled because few people *consciously* adjust their beliefs to align with the popular consensus, but in general none of the interesting cognitive processes take place on the conscious level. I just said this wasn’t a conscious process, friend. I don’t see what your point is. Groupthink is conscious, and confirmation bias is individual, so…? Something is not quite jiving for me. A lot of people hold unpopular positions that they adopted out of conformity. Those positions are usually unpopular because they are in a different social environment than the one in which they originally developed their conformist views; less commonly, they are unpopular because the original group actually changed its views. Said: Hubrists see their views as the truth….they don’t see themselves as cranks. Contrarians expect to be misunderstood…”of course you don’ts.get it” is part of the game. I’ve seen it suggested elsewhere that neoreactionaries gravitate towards the Less Wrong community because rationalists are some of the only people who will actually engage with their ideas rather than dismissing them out of hand. I don’t know to what extent this is true, but it sounds at least like a plausible partial explanation. Do reactionaries gravitate to LW? I think the overlap consists of people who started at LW and became reactionaries. If by “the Less Wrong community,” you mean Slate Star Codex, that’s true, non-LW reactionaries came for his posts about reactionaries and stayed, but that is very small in absolute terms compared to the number of reactionaries on LW proper. Do you mean other places off of LW proper? As they say on /r/shitredditsays, “ironicat.jpg”. Reactionaries are 2.4% of the Less Wrong population according to the most recent survey. Given that they are approximately 0% of the population of most websites, it’s definitely an overrepresentation. I suspect it’s down to contrarianism, taking ideas seriously, and both recruiting from a similar demographic (unhappy male nerds). Is the less wrong community unusually unhappy? I think you must mean something very different by “reactionaries” than what I understand it to mean. Am I missing something? What do people mean by “reactionary” here? Andrew: Specifically, they mean Neoreactionaries, which are a better-defined school of thought that is usually represented by bloggers like Mencius Moldbug amongst others. I’d suggest you read ‘Reactionary Phylosophy in an enormous, Planet-sized nutshell’ as an inroduction and maybe MoreRight as a blog that showcases their thinking. On a related note, what definition of Reactionary are you, yourself, using? To save people from googling, the quote is from Simon Baron-Cohen and the suggestion is autism. Rationalist often make the mistake of treating all communication as exchanges of knowledge, when much of it is signaling about status, includability, etc. That is part of the reason they can shock other people…they are not setting out to be agreeable. That’s also why the world to them seems to be full of people who believe unjustifiable things. Not that there is great lie factory somewhere, but because people get into the habit of saying they believe X to bond with others saying the same thing. And it’s also why there can be no explicit defence of widely held beliefs. Aside from the other theories mentioned here: LW is 2.4% reactionary and 1% conservative. America as a whole is to a first approximation 0% reactionary and 50% conservative. When you get smarter and more philosophical, conservativism becomes less and less popular. My guess is that there are about 3.5% conservatives on Less Wrong, but in order to differentiate themselves from other conservatives who are unpopular and often presumed stupid (which is very serious on a site that takes intelligence seriously), two-thirds of them adopted a new label for themselves that trades off looking stupid against looking evil. I don’t think that is correct. I think that the reactionaries on LW were libertarians before they were reactionaries. Many people make a parallel claim to yours and say that libertarians are really conservatives who are ashamed of the other conservatives. But they already have the escape of calling themselves libertarians; they don’t need the label reactionary to avoid the label conservative. I’d agree. Plus conservatives these days are not very much like reactionaries. Modern conservatives seem to be a coalition of neoliberal/neoconservatives, who are anathema to reactionaries, and people who are reactionary, but not interested enough in theory to be neoreactionaries. My own hypothesis is a variation of this one. Mainstream “conservatism” in the US is strongly associated with Christianity. So the intersection of the sets defined by “having a conservative leaning (valuing authority, hierarchy, sexual purity, etc)” and “being atheist and nerdy” (enough to fit in the LW community) must fall outside mainstream conservatism. While this doesn’t exactly contradict anything anyone here has explicitly said, I think it’s worht pointing out: Among the other reasons I doubt SJ types would be much in favor of this Q&A, one that stands out to me is that I don’t think he means the same thing they do by “racism”. Well — he explicitly talks about “racialism” to make clear what he’s talking about, pointing out that the word “racism” has been used to mean so many things that it’s just horribly unclear without further clarifications. Nonetheless, the SJers do — I think — seem to have a particular specific meaning for the word (and will, if you try to use it with other meanings, insist you are using the word wrong or don’t know what it means instead of recognizing that, y’know, words can have multiple meanings, arguing over definitions is stupid, and the right thing to do in such cases is to insist on clearer terminology). This isn’t it. The racialism he’s arguing against seems to be defended by nobody but neoractionaries and other neighboring groups; his arguments may get you to being an anti-racialist, but they’re not going to get you anywhere near being an SJ-style “anti-racist”. You can support everything in this and still support what they would call racism. I’d agree, then again, the FAQ is quite explicitly in the beginning about this and I’d say this is no fault, on the contrary. The article is quite right in claiming the word ‘racist’ is very often a mere epithet used to smear opposing views and whose definition is often stretched to a breadth that borders on meaninglessness, as such, duo to such nebulosity, it’s difficult to argue constructively about such ‘racism’ either way, then again, maybe there is a more rigorous and defined definition of racism amongst such circles and I haven’t been exposed to it. Knowing this, what do you think would be a more rigorous definition of SJ-style racism? As you’ve said, clear terminology is something we should strive for, being instrumental to avoiding people talking past one another. First, you should understand that many people on the SJ side of things subscribe to a somewhat Marxist-like worldview of class struggle. Even if they don’t agree with any of these theories, there is still an implicit sense that it’s a class war, and that the classes have somewhat permanent existences and constituencies. They are very focused on fighting an enemy who doesn’t want to be an enemy, but also doesn’t want to lose his position. SJ style antiracism, mildly steelmanned: Race is biologically immaterial, and is mostly just a social role. Society at large has different assumptions about different races, including prejudiced ones. Furthermore, tribalism, fear-and-loathing, unintentional racism, etc means that even people who don’t have any racialist sentiments tend to serve their ingroup first. Finally, in the West, white people have a presumed centrality, are native to the dominant culture, and have much more resources, esp. resources that are general to running a country and are not specific to fighting race struggles. They have the NAACP, but we have Standard Oil. Prejudice plus power -> discrimination in various ways, and it doesn’t need a single racialist belief. And it all combines in a structural self-sustaining way. Actual black poverty and degeneracy due to years of racism leads to a perception of the same, and white (and other) people are less willing to take risks on them, so poverty and its attendant violences and social disasters continues. Violence leads to a martial romanticism and sense of anger, which leads to fear, loathing, and police suppression, which leads to all the usual ills. There are a variety of add-ons to this common in the leftist world. Some (esp. more radical) people see racial categories and hierarchies as somewhat permanent and locked-in, and imagine that little can ever be done until some Great Revolution (they usually stop short of advocating genocide.). It’s fairly common to see the “white” race (which as the Prussian gentleman mentions, is a subset of the actual Caucasian race) described as being defined ONLY by its having won the war. This often includes a US-centric description of how Jews, Irish people, and immigrants from various parts of Europe (I.E. not WASPs) were originally not treated as white, how prior to mass colonialism Europe considered humankind to be divided more by religion than by race, and how people at the margins (such as the murderer Zimmerman) may be disowned by whiteness. It’s also fairly common to see racialism or racial/national pride treated as suitable solely for opposing oppression of one’s race, and a somewhat divide-and-overthrow tendancy: Oppressed minorities can have sweeping pan-continental solidarity, but a white person might be proud to be Scottish, Irish, German, French, etc. I agree with some of the ideas of SJ-style race theory, and think it’s better than the mundane alternatives which ignore power relations. However, it has some big holes. The first is that in the last sixty years anti-racist causes (including the people who write these theories) have captured some important institutions and have a lot of power w/r/t public thought and opinion. An accusation of racism that sticks can really bring down the mighty. (Neoreactionaries describe these partially captured institutions as the “Cathedral”). Can a subpopulation of West Africans in a mostly White society act just like the Whites? If you say yes, you are anti-racist. If you say no, you are racist. You might be racist because you think that diversity + proximity = war, or because you think that Africans have lower IQs, higher time preferences, and are more aggressive than Whites, but it doesn’t really matter the reason you cite for being racist. SJWs don’t care about theory, they care about compassion for other humans. It is conceivable for a racist SJW to support affirmative action anyway, because it would be compassionate; but, as long as the racist position is not conclusively proven, SJWs will reject it (and prevent it from being discussed, in case it ends up being proven). Speaking of which, does anyone know what Prussian actually means when he says “racialism”? He never actually defines the term as he uses it. How about: “Racialism” = Racism, in the unfashionable sense of actually explicitly believing that some racial groups are inherently better than others. In Black Boy by Richard Wright (written about his alienated childhood in the South, the racism he suffered in the 1920s and 1930s, his early writing, and his struggles with the amazingly dysfunctional Communist Party), he describes the black separatist Garveyites as “almost wholly racialistic”, and they fascinated him, but he failed to agree with them ideologically because he did not see a return to Africa as possible or desireable. I would use “racialism” to describe more generally having ideology that has a positive existence and importance for race. “Racism” (SOED ISBN 0-19-861126-9 ) implies a presumption of racial superiority and a harmful intent, whereas advocates of positive racial differences use the word “racialism” to indicate a strong interest in matters of race without the presumption of superiority or the desire to cause harm to others. Their focus rather is on racial pride, identity politics, and / or racial segregation. Organisations such as NAAWP insist on these distinctions, and vehemently oppose state sponsored racism. Well, I was going to reply with the meaning I’d inferred from his piece, but he’s now gone on and made a more explicit statement, so hopefully you find that a sufficient answer. I find it to reasonably clearly elucidate his thinking on the matter, yes, but the quoted description of racialism (or actually, “racism”, which is the term the quote uses) is a silly strawman, no less so for its exalted Randian provenance. If that’s what he means by “racialism”, then no wonder he can (allegedly) demolish it with so weak a post. I think the point that would most bother SJ types is 2.8, where he calls them “lesser breeds,” a striking choice of words, given the context. Written after the remainder of this comment: Yvain, I very quickly gave up (at 1.10, specifically) because the list of complaints was multiplying, and specifically the complaints moved from “I would treat this differently” to “now you’re not even considering how a clever racialist would interpret the evidence you just presented.” Perhaps over the weekend I will read it again, and write a response that discusses all of the parts I disagree with. Sure, whites can have their development stunted, but they have the potential to succeed where other races don’t. Any scientific racialist, of course, thinks that both Caucasians and Asians have broad information-era potential. So why are we specifically addressing the idea of ‘white’? It is claimed (elsewhere) that some liberals / SJ types will use “white” to mean both Europeans and Asians; people will say things like “why aren’t there only whites on this panel?” even when there’s a Dravidian darker than most African Americans there. The reason is obvious: many Caucasians and Asians groups have IQ/’virtue’ distributions with enough weight to the right side that they can contribute in a broad way to information-age civilization, and so there’s a meaningful grouping there. I don’t have a name for them (I would jokingly suggest ‘master races,’ but somehow I don’t expect that to go well). What strikes me is that North America and Oceania retains the corruption levels of the European nations that settled there, and South America does the same (Portugal and Spain are currently not well liked in Europe). Again, cultural institutions trump race – and institutions can be changed. Alternatively, Spaniards and Brits are… genetically distinct populations? It’s almost as if we should be considering that hypothesis. For all it’s worth, I’d be very curious to read your criticism as well as Scott’s to the piece in question. Heck, that the article presents discernible points rather than blanket accusations seems like an improvement over the usual way this discussion is handled, it’d be a shame to see such an opportunity pass by, in my eyes. That doesn’t work. The gene pool of the colonies doesn’t match up with the mother country; the US had a large number of Irish, German and other European immigrants which would dilute and British stock and Latin America is all over the place. Agreed that the gene pools don’t match, and that the US has attracted significant immigration from much of Northern Europe, and parts of Eastern and Southern Europe. Disagree that this invalidates the argument, for reasons that feel long to explain but I hope are self-evident. The problem is that Argentina has also attracted significant immigration from Northern, Eastern and Southern Europe (they are actually whiter than the US- heck, England has more people of color). They, along with Costa Rica are the two whitest Latin America countries. Costa Rica is a country that is better of than most of its neighbors (and might actually be counted as better off than Spain), while Argentina has a similar GDP per capita as Brazil (a country where white people are only a plurality). Population demographics != elite demographics. The States have a lot of Germans and very few Jews, but the elite in the States has a lot of Jews and very few Germans. What are the demographics of the elite in Brazil and Argentina? Wow, it’s like a case study in bad reasoning. I think his political leanings are “dumb”. I think his entire understanding of politics and political differences is too deluded for him to have any coherent leanings. Hence Scott’s confusion. Imagine a Pro-Free market early 2000s European Anti-Islamist. They got some influence due to anti-immigration stance, but you had some who were opposed to limits on immigration. I’ve talked to many people like this. As anti-Islamism of early 2000s wanes they are becoming rarer but still common among local libertarians here. They do make sense from the inside. Can you identify some of the specific bad reasoning you see there? I disagree with at least two of their premises (I don’t think rights exist, and I’ll remain silent on the second one because it will offend many), but they seem entirely lucid, and their position is pretty close to the median view in the US. I was also interested in his politics, checked another twenty posts and didn’t find a single thing as balanced or logical as the post Scott found. When you’re dealing with mass murder in the tens or hundreds of millions, I feel like Hitler analogies become more licensed than they usually are. The usual problem, after all, is that it’s blowing things out of proportion, but the stakes here really are plainly Holocaust-sized. The stakes are only Holocaust-sized if you think that abortion is, in fact, equivalent to murder; many (most?) people who are pro-abortion think that equating abortion with murder is absurd. On my view, for example, comparing abortion to the Holocaust and invoking Hitler is much like comparing meat consumption to the Holocaust and invoking Hitler. “Think of how many fish we eat per year! Billions! Billions of fish! That’s like a thousand Holocausts! Per year!” You can do this with anything. In any case, yeah, the bit about abortion is one of Prussian’s most egregious chunks of nonsense, though not the only one. I don’t know that I’m terribly interested in posting point-by-point rebuttals, though. Having internet arguments about abortion (especially those that amount to calling out bad logic, rather than ones that revolve around discussing interesting philosophical points) is so… boring. You are mistating his argument. “Eight weeks is way too early; we can’t even test for birth defects then! Or, in short, if you accept the criteria he uses to determine personhood, complaining that it is inconvinent is wrong. He mentions the Nazis in the second complaint (killing abortion doctors), but the point of that is if you believe what he does, the killing of doctors is totally justifiable. He isn’t using Nazis to say “abortion is wrong”; he is using Nazis to say “if you believe abortion is wrong, that is how horrible it is”. “Many (most?) people who are pro-abortion think that equating abortion with murder is absurd. But this is the main point of disagreement between the pro-abortion and anti-abortion camps. Often people will paper over it and talk about tangential issues like how nice it is that poor people are reproducing less or how awful it is that boys don’t have to marry the first girl they knock up anymore, but this is sort of dishonest. The elephant in the room is, have we killed a billion innocent people, or haven’t we? Saying that the anti-abortion side shouldn’t talk about the scale of the potential murders because the pro-abortion side doesn’t recognize them as murders is sort of begging the question. suntzuanime: So do you also think that “We’re perpetrating a thousand Holocausts a year by eating seafood!” is also a reasonable, and not absurd, way of arguing against the ethics of fish consumption? If fish are people, and that’s your ethical problem with killing them, then yeah, a Holocaust analogy is totally appropriate. It seems absurd to you because fish aren’t people. But given that (as the link points out), the personhood of a fetus is essentially the whole of the question, I feel like you calling it “absurd” and refusing to consider it is a shying away from honest engagement. Please refrain from psychoanalyzing me, suntzuanime. That sort of thing will make me quickly lose any interest in engaging in discussion with you. I agree that whether it’s ethically bad (not necessarily on net, but ceteris paribus) to kill fetuses is most of the question (I don’t think it’s the whole of the question, but I don’t mean to quibble). I don’t agree that we can justly summarize that issue as “personhood”. It can be bad to kill something even if it’s not a “person”. (I don’t actually think that it is, but I don’t think the opposite view is absurd.) Some vegetarians may not think that killing a cow is as bad as killing a person, but may nonetheless think it’s bad, and may advocate vegetarianism on such ethical grounds (involving some utilitarian calculus). It would be inappropriate, and absurd, to characterize the slaughter of meat animals by Holocaust comparisons in such a case. But saying that killing a fetus is just as bad as killing an actual, adult human, with human-level intellect, i.e. a sentient (or “sapient”, if you like) person, is silly. That’s what makes the Holocaust comparison absurd; just as saying that killing a fish is as bad as killing a human being makes fishing-as-Holocaust comparisons absurd. You do not have to completely deny the moral badness of killing fish to agree with that (though I do deny it). To put it another way: if you compare abortion to murder, and invoke the Holocaust, then you reveal that your ideas about what makes murder bad are wacko (possibly due to their religious origins, possibly due to muddled thinking about “rights”; who knows). So what are your ideas on what makes murder bad, then? Explain what you consider so bad about murder, so that I do not offend by psychoanalyzing you. I objected to the last paragraph of your previous comment (“emotionally hard”, etc. ), not the rest of it. My ideas about what makes murder bad are not anything resembling a finalized and complete philosophy. Fortunately, they’re also not actually relevant to this discussion. If you don’t know what makes murder bad how are you so confident it’s not bad to murder unborn children to the point where you call it “absurd” and “wacko” to say it is? I’m sorry, but none of that is at all what I said. Please reread my comments. I’ll gladly respond to questions about my views and arguments, but not to strawmen thereof. I’m not going to ban this line of conversation, but I’m going to ask you if you are sure you want to continue it, in order to give you both a good excuse to walk away without looking like you’re conceding, in case that is a thing you want to do. I’m afraid I’m not a fan of this approach to moderation, Scott. You would prefer that I ban the discussion, or not say anything at all? Either of those would be preferable, yes. Wacko, in this case, meaning indefensible from a strict materialist/reductionist point of view. A point point of view shared by a minority currently, I’d wager, and a negligible one historically. Actually, no, calling it ‘just as bad’ also makes sense from as a deontological rule in a reductionist frame as a useful schelling point. Erm, hang on. The whole point of Schelling points (see also: Schelling fences, bright lines) in ethical discussions is that they’re not themselves actually ethically significant per se, they’re just a useful tool to prevent bad consequences. Unrelatedly… what’s up with all the implied majoritarianism in the comments here? Do you guys (Randy M, suntzuanime, maybe others) actually hold the view that well, if most people think something, it’s probably true? You didn’t say false, you said “wacko” which is generally a synonym for strange, ie, deviation from average or majority. Or else used as a synonym for insane, but I think that’s even harder to justify. Perhaps you simply meant “Wacko” as “not supportable using logic and the axioms I hold”? In order for them to function, they must be maintained. As can be seen in the openness to contemplate infanticide, there isn’t such a bright line at birth anymore. Due to technology, etc., anyone can see that there isn’t so much difference inherent in a human being before and after birth (environment, yes). So, if there isn’t moral condemnation of abortion for convenience, it will make killing of older humans less of a concern, or at least erode the rhetorical opposition to such. I suppose I didn’t so much mean deontological as universal rules for chosen based on consequentialist grounds, perhaps. By “wacko” I meant “crazy” in the Yudkowskian sense (“people are crazy, the world is mad” and so forth), i.e. irrational, nonsensical, etc. I didn’t mean anything like “deviation from majority opinion”. As far as the rest of it goes… I think we don’t actually disagree on the underlying moral judgments, only, perhaps, on how to implement those moral judgments, i.e. what’s more effective from a consequentialist point of view. That’s a fine thing to debate, sure enough, but I’d prefer not to mistake implementation details for moral judgments. Basically, if you say “THING X IS VERY BAD, HORRIBLE, NO GOOD, AND YOU ARE A MONSTER FOR EVEN CONTEMPLATING IT”, but when pressed, say “Oh, yeah, I don’t actually think that, I only say such things because, as a consequentialist, I think that maintaining moral outrage against thing X leads to better consequences”, then my response is to roll my eyes and disengage from further discussion. Like, come on. We’re all intelligent, rational people here, right? If you want to claim “maintaining moral outrage against abortion by calling it ‘just as bad as murder’ leads to better social consequences”, fine that’s an argument we could have. But if you actually, on this blog for intellectuals, claim “abortion actually IS just as bad as murder”, because you’re just THAT committed to maintaining that bright line, then you’re wasting my time. Kindly say what you actually think, not what you think you need to keep the masses believing, else the conversation is of no interest to me. Eh, I’d take the abortion is murder rationale because I’m not a strict materialist and think there is something unique about humans, though I also gave the argument from schelling points being non-wacko for completeness sake. As can be seen in the openness to contemplate infanticide, there isn’t such a bright line at birth anymore. I think you are very much mistaken about the history of infanticide. As far as I can tell, Europeans and Americans have become much more negative about infanticide over the course of the 20th century. The laws have softened a bit, but only to match the existing practice. I mean, you’re probably right that I wasn’t thinking about cultures of other times. But I would be interested in seeing sources about Americans & Europeans ofrecent times being more open to the practice (rather than, say, stoicism about unavoidable infant mortality). As for the documenting attitudes, even over the past two centuries, that’s difficult. Sorry. Ok, I decided to comment a bit on the specifics after all. One of the biggest problems with Prussian’s whole stance on abortion is that he seems to believe that: a) We can categorize an entity as “human” or “not human”, in some sharp, clear manner, and this categorization actually “carves nature at the joints”; and b) that once something is categorized as “human”, the badness of killing that thing is then fixed and unaffected by anything else. Other issues include reification of rights (as you mentioned, St. Rev), a casual dismissal of the idea that infanticide is morally ok without so much as a mention of the concept of a bright line rule, equivocation around the concept of “human life” (No, we don’t take brain activity as the register of human life in the sense relevant to the discussion, and in fact in any sense but some very specific ones where, ceteris paribus, we’ve already agreed that the entity in question is a human in the morally relevant sense. I mean, is he even reading what he wrote? Is a cat human? It has brain activity…). For those who want an absolute, objective basis for the value of life, please read Atlas Shrugged. I both read and enjoyed Atlas Shrugged, but come on. If you have others, I’m glad to hear them, but I don’t see how any of these help. I don’t see the issue with bringing up rights. The whole situation is about when do you get the rights of a person. You can argue that rights are irrelevant, but that still leaves the question “when does abortion becomes infanticide” which is essentially the same question, just different terminology. Infanticide is morally okay in the same sense that every other kind of killing is okay. Given that infants rarely invade countries, take hostages and the like, that drastically narrows down the acceptable range. No one disagrees a fetus is human life. It has the genetic code of a human and it is alive. The question is when does it become a person. The entire focus of his post is a fetus becomes a person when it exhibits brain activity. You need to grapple with that if you want to show he is wrong. A cat lacks the human part; I imagine he considers a cat fetus equivalent to a cat baby when it exhibits brain activity. Like, at least A Human’s Guide to Words. I don’t see the issue with bringing up rights. The whole situation is about when do you get the rights of a person. You get the rights of a person when the law (or society, or whatever) says you get them, because “rights” are not a real thing, they are a social construct in the classical sense of being something that has no existence whatsoever except by our collective say-so. That does leave the question of “when should you get the rights of a person” (not to mention “what exactly are ‘the rights of a person’? should all persons have the same rights?”); but now that we’re discussing oughts, the matter cannot be settled by observing that fetuses have brain activity at such-and-such a time, nor any other fact about the external world. Um, that’s definitely not what I was talking about. No one disagrees a fetus is human life. I disagree with it. There; assertion falsified. What’s that you say? But human fetuses fit your preferred definition of human life, which you helpfully provide in the very next sentence? Well, that’s thoughtful of you, but I don’t accept your definition! What now?? The question is: is killing a fetus bad, or is it not bad? That’s an “ought” question. It won’t be settled by appeals to “is” questions unless we have already agreed on the requisite mapping from “is” to “ought”. The key point, however, is that it doesn’t actually matter which of these two approaches I take. Pick whichever you like! It won’t change what I actually think about which acts are morally good, and which are morally bad. The reason for this is that my conclusion that killing fetuses is ok did not derive from any reasoning about what “is” or “is not” a “person” in any sense where membership in the category “person” is delineated by some rigid, naive definition, like “has brain activity”. Rather, that reason has to do with noticing the cluster structure of thingspace, and the not-particularly-revolutionary notion that we should construct our ethics accordingly. While I don’t think that there’s truly a universal “humanness” I think it’s a relatively justified concept space, and that attaching moral norms to it makes a good Schelling point for the laws of society. I think I’m more pro-choice than pro-life. But sometimes the arguments made by pro-choicers justify infanticide or killing the disabled. And I think it’s a good thing that people flinch at the thought of abortion. So I have a good deal of sympathy for pro-lifers, even though I disagree with their position. Eventually I might change sides, who knows? As far as killing the disabled — “disabled” is waaaay too broad a term to mark a useful category for this purpose. However, let’s avoid that tangent. Why? Prussian’s reason for choosing brain activity is very simple- when you don’t have brain activity you are considered irrevirsibly dead. Why should intellect or self-awareness be the valuations (p-zombies are people too)? At what level are people stupid enough that it is okay to kill them? Additionally using intelligence as a barometer runs into the fun problem when your dealing with an AI. Congradulations- you just set its moral valuation to regard itself as the most important thing on the planet. Fortunately the law runs on precedence. Prussians attempt is purely applying the rule for when people are considered dead and reversing it. Arguing that I’m appealing to the definition might be relevant if I wasn’t perfectly clear what I was talking about. Personhood is the legal status where it is illegal to kill you. Human life just means you have the human genetic code. Your blood is an example of human life. I have no idea why you object to them. Neither of them are loaded terms and they are useful. It is actually quite bizarre because anti-abortion activists generally conflate them and you are complaining because I am explictly seperating them out. No, that isn’t the question. The question is, when is it wrong to terminate the pregnancy because the fetus counts as a person- Prussian’s argument explicitly recognizes that it is okay in the first 8 weeks. I have no idea how any of that is at all relevant to what I or Prussian posted. You spent several paragraphs saying that people could believe abortion was okay because they didn’t think fetuses are people or because they thought it is okay to kill for certain reasons. It is assumed people who are prochoice use the first argument because the second argument openly admits a rather low valuation of people’s lives. If you’d like to elaborate that argument feel free, but generally open sociopathy is not a winning attribute in moral systems. Ok. Please see my comment that is right before the one you responded to. On the plus (?) side, now I remember why I don’t argue with random people on the internet about abortion. Sorry for clogging up the comments, Scott. Saying “words come with meaning attached” isn’t an argument. Saying “words come with implicit meaning which you are using” is an argument except I have been explicit about the meanings in the words I’m using. If you think the words are loaded you can just plug in the definitions I offered. Dude, I came here from LessWrong. The sequences and guide to words are completely irrelevant to the Prussian’s argument. I’m starting to suspect you didn’t bother reading it since its strength and weakness are very obvious. Rather than adressing his argument, you bring up topics related to typical anti-abortion stances. I did indeed read Prussian’s post. If you think the material in A Human’s Guide to Words is irrelevant to his argument, then you have not understood said Sequence, and if you think my points are not addressing Prussian’s argument then you have not understood my points. I’d be willing to discuss this further, but preferably not on this blog (and certainly not on this post’s comments thread, as we’ve already threadjacked quite sufficiently). We can take this to email, if you like, or you can direct me to another forum of your choice (perhaps lesswrong Discussion? ), though it would have to be one with a less awkward commenting system, because this one is quite unsuitable for a detailed back-and-forth discussion. There is no other way to say this- you are wrong. You don’t understand his argument. His argument is exceptionally simple- the cutoff for when someone stops being a person is brain death- when there is no neural activity in a persons brain. He simply says we should be consistent and use the presence of brain activity as the bar for personhood. You’ll note absolutely none of the Prussian’s argument relies on the definition of any of the words. The argument is simple, coherant and logically sound- his argument’s flaw are purely factual issues. Since you don’t want to continue the discussion here I’ll give the solution here- he misses the fact that the situations aren’t symetrical. The first is the order; which might be important, the second is information, which is important and the third is lumping all neurological activity. For a fetus, we have a pretty good idea the path development procedes upon so we can tell you how developed their brain is at any given point. Individuals with brain damage are less homogenous so we tend to default to caution when it comes to determining if they are still people. Additionally, not all neurological activity is involved in being a person. The automatic nervous system for example. So you need to differentiate between brain activity and that required to be a person. Note however that since his argument isn’t logically flawed, this simply changes the cutoff point. You don’t understand his argument. I don’t know why you think I didn’t understand that. I just think that it’s both nonsensical and irrelevant to the matter of abortion, for reasons clearly explained in the Sequences. How about this: we grant rights to classes of beings based on the consequences of granting those rights. What does the world look like if we allow murder of adults? Constant fear and chaos. What does the world look like if we allow murder of fetuses? Pretty ok. Even if the fetuses are conscious and intelligent, if the procedure is painless then no actual suffering results. There’s no fear or trauma either since the fetus couldn’t know it’s in a pro-choice country even if it could understand the concept. Immediate infanticide? Pretty similar, actually. Any later than that and you have a chance for people to bond with the baby. You get into atrocity territory if you allow murder of children old enough to understand and fear the concept. Well, whatever evaluation function you apply to world states, that tells you a world of constant fear and chaos is bad… it’s not the only possible evaluation function. Others are possible. Infinitely many others! Some people might use an evaluation function that looks at a world where fetuses are killed left and right, and says that world is bad. Not, like, bad because of the consequences, but just… inherently bad. From your comment I infer that you hold some variety of utilitarian views, where suffering is inherently bad (i.e. avoidance of suffering is a terminal value), and all other values are instrumental. It’s certainly not the case that everone shares that specific set of terminal values, so assuming that hardly gets you to a sensible account of rights. Have you known many expectant parents? And anyhow, this is a really weird objection, since presumably the ones who bond with it wouldn’t take the option to kill it. Plus, I think you’ve just given liscense to quietly eliminate transients and mental patients, and to expand capital punishment beyond what porportional justice would suggest. The Prussian’s description of Ilana Mercer’s article on the murder of Eugene Terre’Blanche is rather inaccurate. I more or less agree with the linked post and wonder if Scott sees any good points in it. Anti-X FAQs are rhetorical Claymores. Some ball bearings zip wide of their target and others strike it, but it can be hard to assess the overall damage. as bad in their own ways as the usual style of arguing, but at least it’s a novel badness and one you can engage with! This confused me until I realized Claymore is also an explosive device. I imagine it is not hard to assess the damage of the other kind of Claymore. The stuff on the in/significance of biological differences and the stupidity of stupidly comparing cultures in a stupid way is useful, but really nothing new. I’ve seen it many times in various leftists’ personal conversations/writing. The rest… Damn, it’s 3euphoric5me. I think he is a rather deluded person who is marginally correct on one issue and catastrophically wrong on many others. He ought to go debate Steve Sailer, a generally somewhat reasonable person with a considerably different and worse position on race… and it would be nice if they could both lose somehow. I hope you don’t take it amiss that when you disapprove of someone’s rhetoric I find my opinion of it retroactively goes up. I am also in favor of somebody writing this, and I am not a racialist either, but I’m a bit disappointed. There’s nowhere near enough depth in the discussion of race and IQ, and frankly he isn’t representing the best of the racialist position. There’s no commentary on the weakness of the Flynn effect. There’s no examination of the actual research (I assume there’s some, but I’ve never made this my hobby) on how behavioral differences map to haplotypes. There’s no discussion of why *historically* technologies appeared at different timescales in different parts of the world. That is, you can blame lower African IQ scores on malnutrition and parasites, but that still leaves the question of why Africa has more malnutrition and parasites. And there’s no mention at all of what I’d think are the strongest evidence *against* biodeterminist theories of IQ: the fact that the IQ differences between East and West Germans, and between farmers and city-dwellers, are comparable to IQ differences between races. Even if there are genetic effects, they seem to be smaller than cultural ones. Basically, Prussian complicates the discussion beyond “black people are dumb lol”, but it was already complicated to anybody who was paying attention — I didn’t learn much, and I consider myself to be *ignorant* of the debate. He doesn’t bring up some of the problems *I* see as most glaring with reactionary racialists, particularly Moldbug, who’s the one I’ve read most. 2.) “White people” didn’t create the glories of Western Civilization. No, I’m not talking about Pushkin and Dumas (though somebody should). I’m saying that it’s kind of crazy to forget that Europe was full of white *barbarians* for centuries. And to forget that the peaks of human achievement are reached by very, very few people. A white guy taking credit for Socrates because his ancestors came from the same continent — not even the same haplotype — is just telling himself a flattering story. C’mon. You don’t have special blood. Otherwise a lot more people would be special. A deliberate refusal to read statistics leads him to write as though black crime is much more terrifying and common than it is. We are living in a low-crime era. You know what you should be scared of? That’s not how it works. Even if the rate of black crime is low overall, it’s still high in certain areas (especially inner cities), and that disincentivizes living in those areas. If you hate your two-hour commute, black crime (more specifically, urban crime, which is disproportionately committed by blacks) is a very relevant problem to you. It’s not just about what the risk of getting killed is—it’s about all of the effects, from the risk of getting robbed or non-fatally knockout-gamed to the societal effects created by it. People move to the suburbs because the suburbs are safe and have good schools—I think we all know what the euphemisms mean. This gives them much longer commutes. How many hours out of how many lives are eaten up by commuting time as a result of urban misgovernance? And that’s just one effect of one effect! How does the idea of white flight square with the recent resurgence of city living? Are cities somehow less Progressive than they were, say, twenty years ago? People don’t want to live in the South Bronx, but they’ll happily live in Williamsburg now. And it’s not like they were commuting to work in the South Bronx anyway. Depends on if you have a cynical / accurate view of what progressivism is or not. If you believe what progressives say, then yes, cities are much less progressive (that whole “law enforcement” thing). If you have a cynical view of progressivism then cities are no less progressive now – they’ve driven out the enemies of progressivism (the wrong type of whites) using their pet savages and now the progressive class can buy up the available prime real estate and bring that land back into civilization by permitting law enforcement again. The second view of progressivism is that the guiding principle is “progressivism is whatever is good for the right sort of (progressive) people”. It’s cute that they think it’s racist. Since they’re in control, the fact that they don’t lift a finger to stop it shows that they think it’s okay. You know, whenever I go talk to progressives, they think they’re an embattled force near defeat and the capitalists and the patriarchs and the racists are in charge. And, indeed, when I talk to libertarians the statists are in charge, and when I talk to conservative Christians the secularists are in charge, and when I talk to atheists the Christians are in charge, etc. etc. think of your own examples. So I think it is much more likely that you are expressing a specific version of the general case “people enjoy believing that their Hated Enemy is in charge and they are the underdog,” rather than that progressives are in charge, gentrifying everything, and inexplicably lying about their desire to gentrify everything for no readily apparent reason. Who exactly are those hipsters committing the racist crime of gentrification? They’re Republican CEOs of companies that ship nuclear waste to Africa to be reprocessed by hand, right? It’s true that the police who have been given the directive to enforce the law and the technological tools to do so even with the handicaps imposed by the Warren court are just as likely to not be progressives. It’s furthermore true that New York City has repudiated some racist police policies that may have had a hand in permitting gentrification to occur. But, I just tipped my hand. The argument you need to make against ‘increased police effectiveness or whatever permits gentrification’ is either that the police are no more effective today than they were during the era of White flight, or that gentrification would happen anyway. The argument that progressives think gentrification is racist is either irrelevant if progressives are not in control or irrelevant if progressives are in control, because gentrification is in fact occurring, whether or not the fact of it occurring makes progressives call themselves racist. Ozy: It’s not impossible that they are all right; that is, if those on the extreme define both their ideological opposites and simply moderate or apathetic as the opposition, and it is the moderates or simply majority who end up making decisions, each side will (correctly, at least by their definition) believe the opposition is in control. Hard-core Progressives are the underdogs; a coalition made up of everyone less progressive sets policy; hard-core conservatives are the underdogs, etc. And yet, when I quote Satsuki Kiryuin, people think I’m joking. Yes. Bloomberg sure as hell wasn’t progressive. White flight was a result of busing and crime. Busing is over and crime has fallen—partially as a result of white flight, but partially as a result of better policing and legal approximations of segregation strongly disincentivizing underclass movement out of the euphemistically-named ‘inner city’ (stop-and-frisk). Busing was a progressive policy, as were the ones that led to rising crime. The end of busing made the cities that much less progressive; the introduction of crime-reduction policies reduced the cities’ progressivism further. Also, the author’s political leanings are pretty explicit? As in, he states them? Reactionaries and Objectivists disagree about what parts of Western civilization make it good. Objectivism is wildly pro-Western. Why does this surprise you? Perhaps I misspoke. Isn’t it the case that Objectivists, like reactionaries, are deeply unsatisfied by the modern liberalism of Western civilization? Reactionaries are unsatisfied by very different aspects of modern liberalism, as Blacktrance notes. It’s hard to imagine reactionaries endorsing these quotes, at least in the sense in which Rand meant them. The second quote particularly places Objectivism in opposition to both democracy and ethnic nationalism. You could go over there and ask them, as Scott requested. Seconded. I’m more than a little puzzled that people are having difficulty with this. I think that of the issue is that the author isn’t American and therefore doesn’t quite match one of the standard US political positions. Yeah. They have an interesting mix of heroes in their banner. I’m American and their stance seems pretty clear to me, though! Not the first, I think. Ron Uns wrote a very good essay on why IQ differences between groups aren’t due to genetics a couple of years ago. Oh yes, Unz’s piece was very good, much better than Prussians since he actually looks at the data and the arguments. If work were as slow as it was last week, I’d spend the time to demolish Prussian’s arguments. Some of them are ok, and I still have enough sympathy for the libertarian/Objectivist position to appreciate what he’s trying to do, but he’s almost as incapable of statistical reasoning as an intelligent feminist, and he also misrepresents the arguments made by his opponents. Most of his misrepresentations don’t quite rise to strawmanning – maybe they’re stickmanning instead, but he really doesn’t engage with the best arguments that the racialists make. The biology is the worst part, even though he acknowledges that there are people who know the biology a lot better than he does, and that their attitudes tend to not be as bad as he’s complaining about. I was disappointed by this, he presents theoretical arguments instead of actually addressing (or even looking at!) the relevant data. If you want a good argument against a genetic IQ gap then you should take a look at Kees Jan Kan’s dissertation. Thank you. That seems very interesting. I am having trouble understanding it but I’m going to back up and look for Dickens and Flynn and try to get a better grasp on their theory. I am tickled pink by the link, so many thanks to Scott Alexander. 🙂 Just wanted to note: I fully accept that global warming is real, manmade and a problem. I just don’t like some of the politics associated with it. Sorry if that wasn’t clear; I added a lengthy update to explain a little further. It doesn’t really talk about racism, though. It just some of the usual “mistakes” about racialism, such as admitting a difference between East Asians and Amerindians and Pacific Islanders but not a difference between Whites and Arabs and Indians, combined with specific and specious attacks on a level of genetic determinism no one argues for in order to pretend that if you take a bunch of West Africans and put them in a White society they would act just like the Whites if not for racism. I’ve edited out the second half of your post as a *little* too graphic and outrageous for this blog. Future things of approximately that level of graphicness and outrageousness that make strong claims based on anecdote will result on a banning. See the comment policy. I’ve also deleted one response to your post because it makes no sense now and to make an example about responding to trolls. I would usually feel guiltier about this, but I specifically asked everyone not to post stuff here because this would end up happening. If you strongly wanted this and cared enough about it you would have closed the comment section. You would have made a seperate Meta post that linked to this one and maybe one or two more examples. Or you wouldn’t have provided examples at all, relying on people to based on your rationalist credentials infer you have good examples you aren’t sharing and then mostly figure them out on their own. This was Vladimir’s strategy before he gave up on LessWrong. And be honest to yourself about the kind of posts you would actually end up moderating. You open with an object level example sure to strongly grab peoples attention. You provide some meta commentary, saying with many words but a weak signal the meta commentary is what you want to talk about. People then agreeing post on the object level example, with a slighter of plausibly deniable meta. Other people object strongly to the connotations imported, coming of as unreasonable, since the plausible deniability of meta is there. A systematic bias emerges. I hope this doesn’t offend. But I’ve seen you go through it several times on your blogs. I just want to say that this is a terrible strategy, I despise it, and I am so, so glad that Scott doesn’t do this. On the upside, it sure made Vladimir look all spooky. On the downside, he might’ve well made a few flops in some of his ominous statements… but I don’t care to go back and try to poke holes in them. Probably something like “bitter lonely men have generated insight about women, but bitter lonely women haven’t generated any insight about men, wow i’m so objective” is a typical flop of his. Quite. These days my default conclusion upon seeing such a “spooky” vibe from someone’s posts is “This person is merely attempting to signal their worldliness and insight, but their ideas, if spoken aloud, would betray their lack of actual wordliness and insight (or they don’t even have any actual ideas). Ignore them”. @Said Achmiz: If you ignored Vladimir it is your loss. He was easily among the 10 most formidable people on LessWrong. Could you link to some of his more interesting/insightful posts? More generally… here’s the thing. If someone is “formidable”, that is of no use to me if what they say/write is all in the form of cryptic allusions and impenetrable obscurantism. As I’ve said before, there are any number of people on the internet saying weird, barely-comprehensible things. It just doesn’t make sense to try and sort out every one of them. If you’re not interested in me understanding what you say, then I’m not interested in understanding what you say. Speak clearly or gtfo. Well, it’s presumably because you think his ideas are interesting/insightful/etc., right? And how do you know that? You have to know what those ideas are first, right? You have to clearly understand the ideas, views, arguments that you’re praising, right? Otherwise, I might suspect that your only reason for considering this person to be “formidable” is that he has successfully signaled to you (via all those cryptic allusions and such) that he’s formidable, without actually impressing you with the insightfulness of his actual, properly-understood, ideas… and that’s not the case, right? He had a few good, challenging ideas, but they were all inspired by some 20c. paleoconservatism, heavy on the meta – and what he did with them was that weird Straussian (?) posturing of his. I think he was only ever leaning towards the neo-reactionaries because of the usual baroque persecution complex. 1. Either intentionally or through ignorance he muddies the waters on this distinction. He provides links to marginal blogs or even people who have no stated connection at all to Neoreaction. 2. Not actually correct in his criticism of HBD, engaging straw men and misrepresenting what the scholarly hereditarian position on racial gaps is. As someone who thinks HBD is true and considers himself currently Neoreactionary it didn’t seem to engage what I care about or often see discussed at all. I am more pessimistic. The internet is doing many thinks to the market for intellectual content, and one of those things is fractal-descent into some sub-sub-niche, epistemic closure, and the weakening of the market for ‘made me reconsider my opinion’ and the strengthening of the confirmation-bias market. Even very sloppy products like these ‘FAQs’ serve the purpose of putting tempted, somewhat queasy people “Gee, I don’t know, maybe these evil wackos have a point, I mean, it seems to match all my personal experience, but I’d really prefer not to believe it and be associated with those low-status, radioactive losers” – back on the straight-and-narrow of mainstream orthodoxy. When I read things like this, I try to imagine, “What’s the big point of all this?” To me, the big point is that my entire government, and nearly the entirely of the wealth-power-influence elite of my society are absolutely committed to insane policies (i.e. 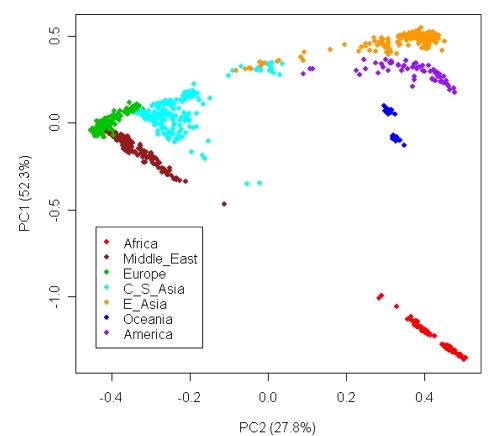 immigration, diversity) and coercive crusades based on the claimed principle that the correct attribution of the origins of various observable human disparities (where they aren’t actively denying that certain huge disparities even exist) has no significant genetic component strongly correlated to ancestry, which is an obvious untruth. And that if the crusades to ignore or level those disparities through unjust interventions weren’t enough, they also insist, sub poena, that everyone loudly proclaim their fanatical devotion to this untruth, or else. So, the only way to argue against this insanity is to somehow attack the underlying false proposition, but anyone who does that directly with things like argument, logic, and evidence immediately becomes a stupid, evil, radioactive unperson who should definitely never have a job, or a moment’s peace from the mob should he ever try to raise his head in polite society. So, no, I see no tectonic plates shifting. I see another spanning beam has been bolted on the fissure to make it more stable than ever, having evolved a new plasmid of resistance to the latest promising antibiotic. Here’s an example of logical sloppiness that evidences my ‘foregone conclusion of dismissiveness’ claim. 1. Hey, Derb likes Nicholas Wade’s book. 3. These people are so diverse, there’s nothing useful you can say about them except they are all bipedal primates with hemoglobin. 4. Also, Africa is pretty diverse, so ‘black’ is a pretty lame word too. 5. Therefore racialism is hypocritical, inconsistent, and stoopid. QED. So, we’re not going to talk about DNA and gene loci and decades of work identifying how population groups differ from each other, and how these differences matter hugely for gene expression? Instead we’re going to use word games and arguments that leap from ‘applauds’ to ‘judges to be perfect’? Really? Question: Does anybody actually believe Derb thinks this pre-modern-genetics definition of Caucasian is meaningful for the big questions and issues I mentioned above? Nonsense. When one reads something as silly as this, one knows (1) what one is dealing with, (2) that there are no tectonic plates shifting, (3) that this is not a person trying to better understand his world but instead trying to shut down a certain kind of discourse by providing an excuse for people to think they can ignore it, and (4) it is absolutely pointless to try and engage such a person in polite debate where one can correct or refute arguments, because they will just throw more gibberish like this at you at you battle, like Gandalf and the Balrog – down an infinite rabbit hole, and anyway, they will never ever change the ‘FAQ’ under any circumstances. Of course Whites exist too – besides genetic factors, it’s pretty clear that a country is White if its inhabitants are told to check their White privilege and that they must allow mass immigration to increase their diversity. That graph is not about skull shape at all, it’s about genetics. Linking to unsourced, out-of-context data graphics is poor practice. Therefore us Slavs aren’t white, just as we long suspected, therefore the new world order doesn’t view us any more favourably than the current world order does. Thank you, comrade. @Anonymous Thank you for the link! Did Land fix the site? People didn’t used to be able to link individual comments from there, many complained. Please tell me how to do this, I’ve wanted to reference several comments from there in my pieces since Nick Land has the best comment section on the internet (it is declining unfortunately). Here is a bookmarklet that finds permalinks on pages that use jquery (and other constraints), such as xenosystems. I stopped reading when I found that his principal source was Nicholas Wade. I don’t think there is a more criticized person, other than Rushton maybe, who has delved into this topic with the pretense of expertise.